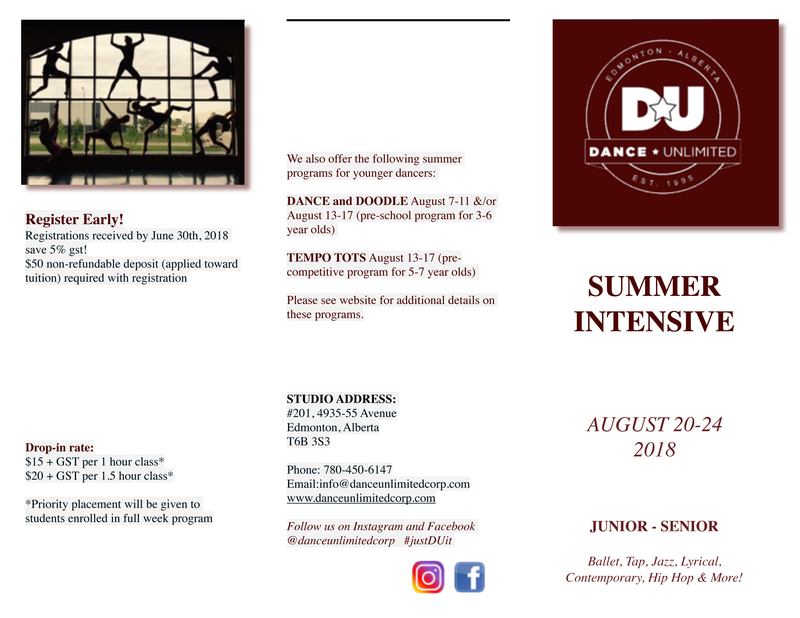 Dance Unlimited is fully devoted to training dancers of all ages in an encouraging environment, where they are given the opportunity to grow and excel individually in their dance education. We strive to deliver the highest quality of dance instruction, while nurturing each student’s unique gift of talent and creativity. 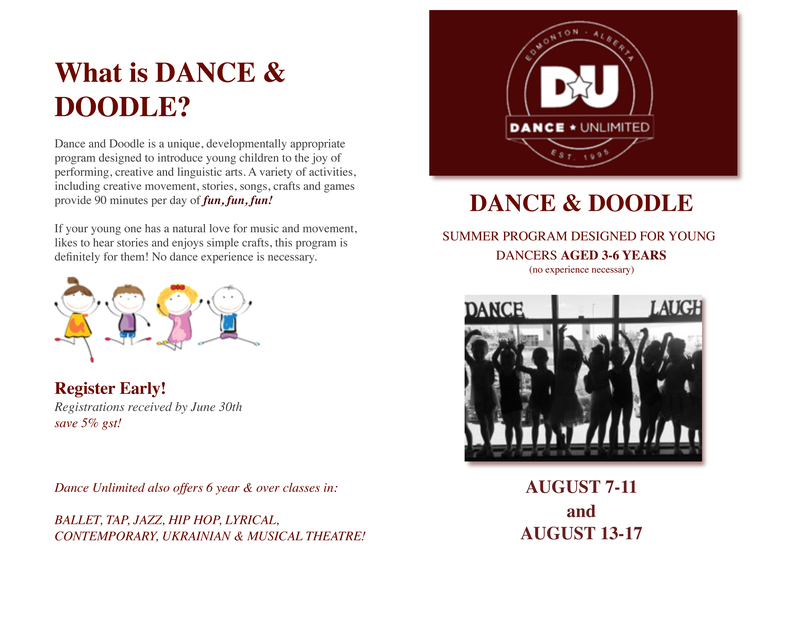 Dance Unlimited is dedicated to our studio community and culture. We strive to ensure you are kept well-informed of the progress of each dancer. We believe open communication and encouragement both at home and within the dance studio will promote a stronger self-worth within each child. The success of each dancer is a result of great teamwork between the dance studio and our dance studio families. 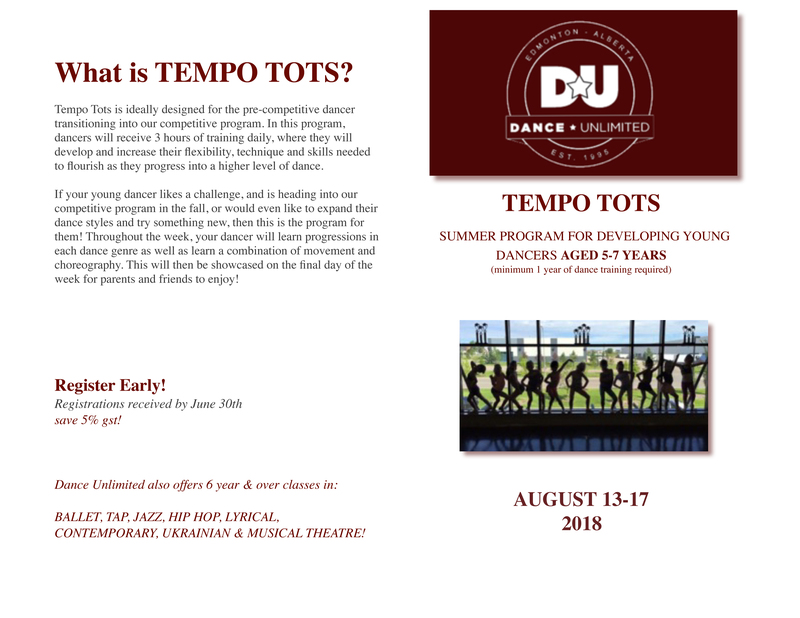 Dance Unlimited has provided our daughter with tremendous opportunities to pursue her dance interests in ballet, tap, jazz and musical theatre. We are especially drawn to Dance Unlimited for it’s talented staff and the open, caring, welcoming atmosphere they have created for dancers, staff and parents. My sons look forward …to their Ukrainian and technique classes. They are learning that dance is a challenge in the same way as any sport, and having a ball! Thank you so much for taking the time to inspire and teach our son this past dance season. He loves dancing and is looking forward to next year! Thank you for taking our order and a special time my daughter had with the Ms. Jami. Your company has made a lil’ dancer in our girl…Thank you. I just wanted to extend a huge thank-you and congratulations for an incredible year-end show! We were so impressed with how it was organization and the quality of all the productions. 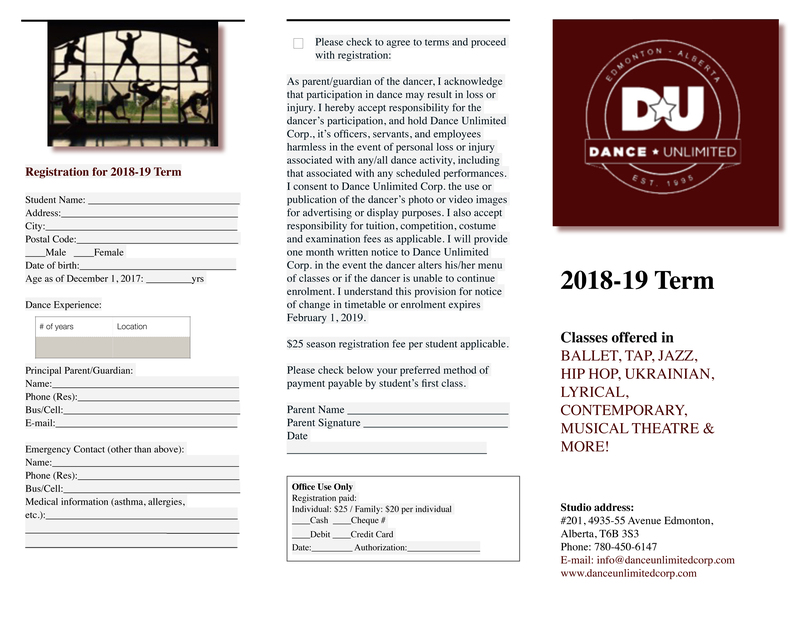 We look forward to another season with DU. What a wonderful recital last night! All the dancers did an amazing job and looked wonderful on that stage!! Thank you once again for the great job that you did! Thanks for including all of us in your decision. They really were remarkable. I was really proud of them, and entertained by them. They really told your story well. Thanks so much! I’ll come in sometime soon and familiarize myself with the procedures you have in place for communication. I really appreciate your patience and explanation. You guys are doing a great job and my daughter is thoroughly enjoying herself. She anticipates dance class every week! By the way, the Musical Theatre performance was a highlight. The crowd loved it!!! Thank you for accommodating our photo day conflict. We really appreciate it. I just wanted to let you know that my daughter is enjoying the new class very much – thanks again. He is enjoying ballet and telling us how important it is for him to build his core muscles. So, thank you for your patience with him this year! Thank you for moving our solo for us tonight. Wow! There were some fabulous numbers on stage. Thank you for everything. Just to tell you I enjoyed tapping again. Many thanks for your support. Thank you so much for the donation to the scholarships! We really appreciate it! Thank you for putting on such an event. We greatly appreciate every opportunity! We went to last nights show just to watch. It was amazing. What a talented group of both students and teachers. Thanks for a great year! Congratulations on a fantastic year end wrap up! The shows were fabulous!